The Sky is Saturn's first convertible. 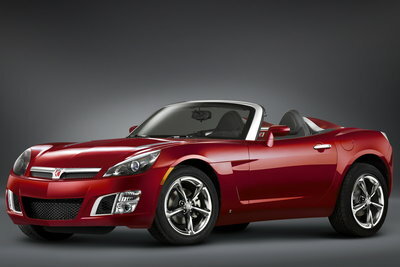 Although the name was used on a previous concept car, the production Sky roadster is actually a version of the Pontiac Solstice with styling borrowed from a Vauxhaul concept. The Sky looks to be a solid performing car. It is based on GMs new Kappa small rear-wheel-drive platform. Power is provided by a 177hp 2.4L 4-cylinder Ecotec engine. The Red Line edition is powered by a 260hp 2.0L turbocharged 4-cylinder.